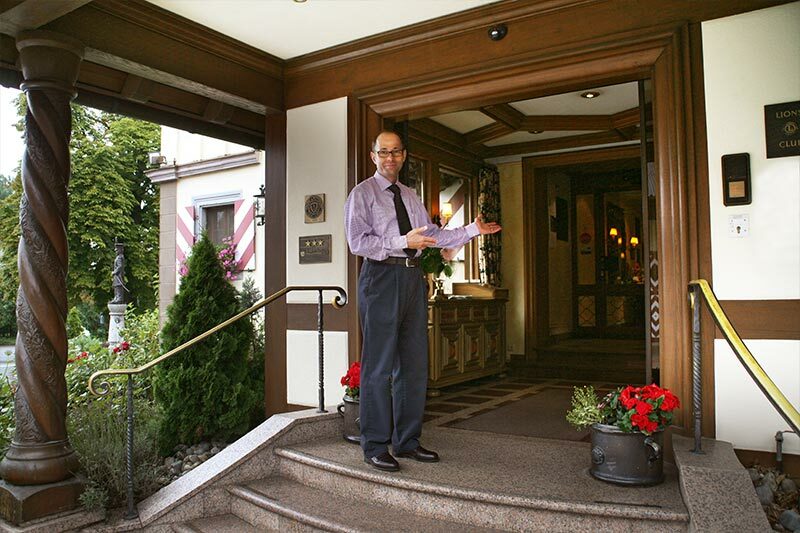 This hotel is a harmonious ensemble between the hotel and restaurant area. The well-travelled landlord not only has one of the very best private breweries in Germany, but also a great love of antiques and decorations. On each visit the guest will discover new and even more interesting things, whereby the vintage "Bentley" car is just the icing on the cake. 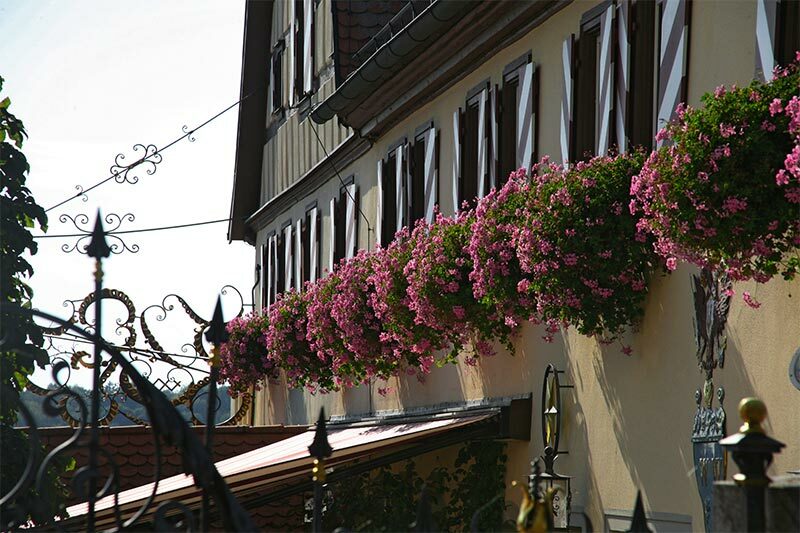 Coming south from Rothenburg, the inn and brewery are embedded in the landscape. The area has been agriculturally cultivated for centuries. Just to the left after the inn, the road leads via Adelshofen into the Tauber Valley. This hotel has undergone many changes. Its present appearance is from the nineteen-sixties. 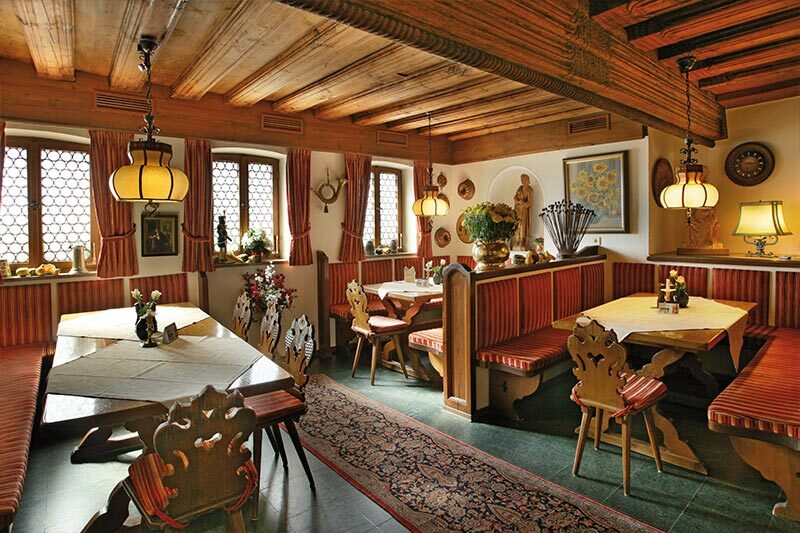 It is known that in the late Middle Ages it was on the Post Road from Würzburg to Rothenburg ob der Tauber. 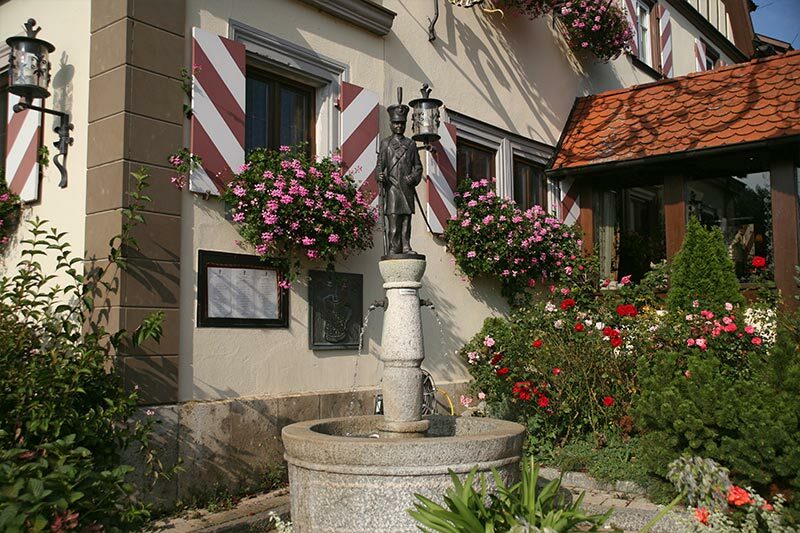 There is a soldier enthroned on the fountain, who is the namesake of the inn and brewery. inside and discover for yourself the comfort of our hotel and lounges. 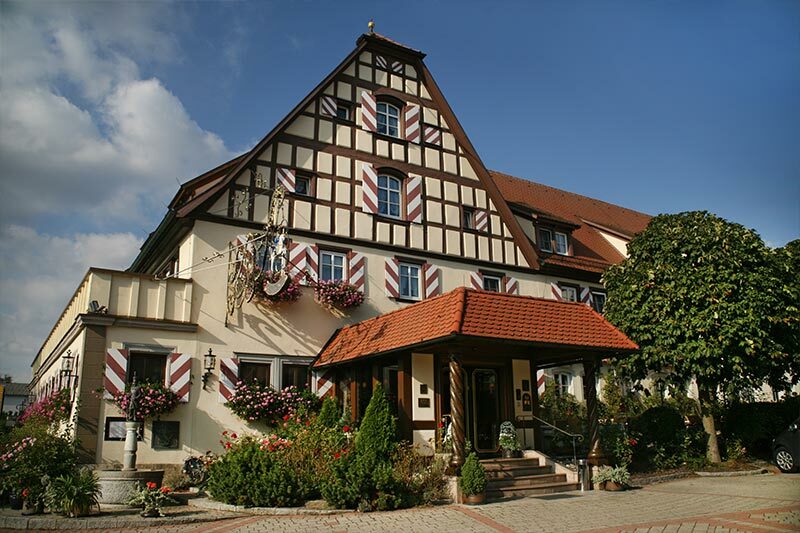 You can really take it easy here, enjoying our hotel's excellent cuisine, and a chilled Landwehr beer, straight from the tap. 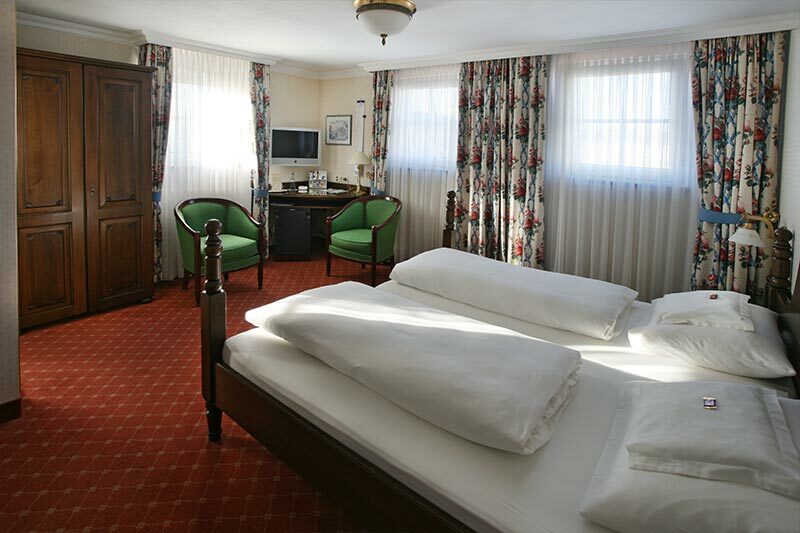 The very personal atmosphere of our beautifully decorated rooms reflects the collector's passion of the owner. What would a brewery inn be without its beer. 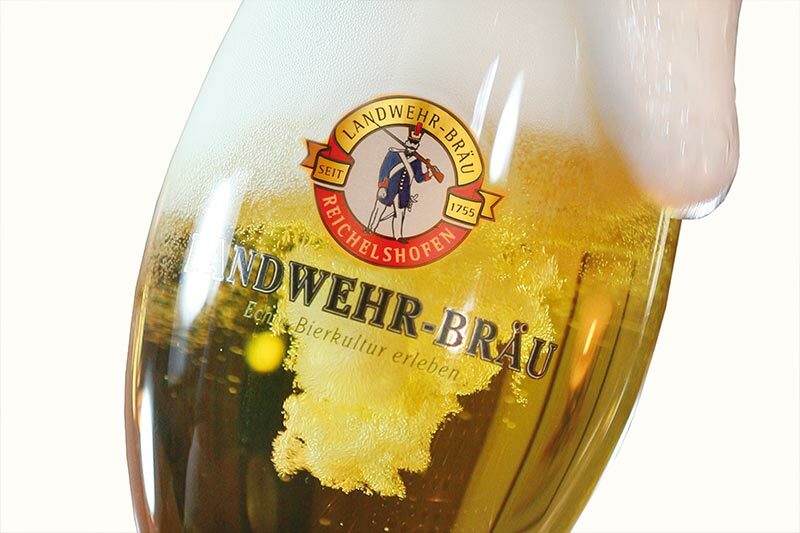 You can get to know the entire selection of Landwehr-Bräu beers here, and on a brewery tour experience the brewing process, as well as participate in a beer tasting.